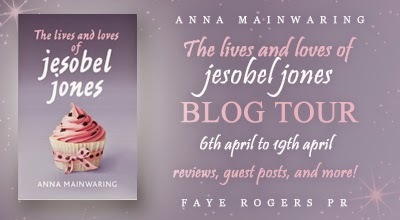 As part of the blog tour for The Lives and Loves of Jesobel Jones, I am pleased to welcome debut author, Anna Mainwaring onto the blog to tell us all about her writing journey. I’ve been asked to write about my writing process. The word ‘process’ suggests some kind of logical progression or development. Nothing could be further from the truth – how I write is pretty chaotic. And to be honest, that’s what seems to work for me. In order to describe how ‘The Lives and Loves of Jesobel Jones’ came into being, I suppose I should touch upon the ‘non-writing’ years. Or at least, the years of ‘writing but finishing nothing’. I’ve always wanted to be a writer and I’ve written off and on for years but whilst I would start in idea and begin with huge enthusiasm, after a while I would lose confidence in both the story and myself and give up. And watch X Factor and drink wine. And feel more than a bit dissatisfied with life. A few years ago I decided a change was needed and enrolled on a Creative Writing MA specialising in Children’s Writing with the MMU in Manchester. Best. Decision. Ever. 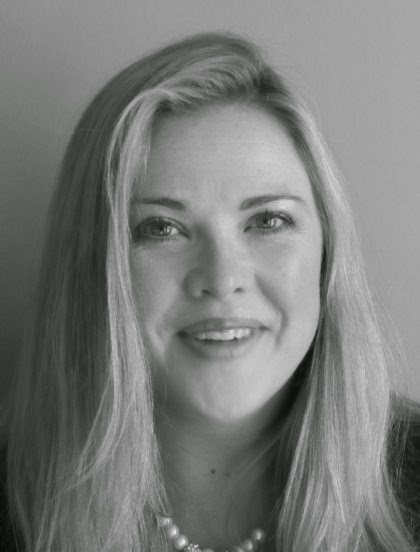 A few weeks in my wonderful tutor, Sherry Ashworth, set us a writing exercise which gave birth to a rather opinionated, food obsessed teenager, then called Alyssa. I’d heard of writers saying that their characters took over their lives and never quite believed it. Once Alyssa started talking she just would not stop. She’d talk to me as I walked down the street. She’d wake me up in the middle of the night to tell me things. I needed to do something just to stop her talking and as was in the middle of October, I decided to have another go at NaNoWriMo, something I’d failed at in the past. NaNoWriMo is like Marmite. But I love it nearly as much as I love Marmite. It definitely works for me. Some writers are careful crafters of first drafts. I’ve learned the hard way that for me a first draft needs to just be hammered out, fast and dirty. This is the only way to stop the critical voices in my head that say everything I write is rubbish and I might as well just give up. When writing my first draft of Alyssa’s story, I never re-read. I just wrote what happened next. I planned the next scene as I drove to and from work, playing it out like a TV show in my head. So when I finally got down to write late in the evening, the dialogue and scene just tumbled out. For the first time in my life, I actually finished a full draft – a real ‘woo hoo’ dance round the room moment. But of course, what to do next? I had 55,000 words. Some great characters and scenes but not a fully realised plot. It took me over a year to sort it out. I needed a bit of time away so left it to one side for a while and began to work on something else. But Alyssa would not leave me alone and I re-read it, deleting massive chunks but feeling that I had something worth working on. I knew the plot didn’t work but I couldn’t see for the life of me how to change it. I don’t write everyday though I try to. But I do think about my stories every day and spend the hours of my travelling processing what to do next. One day I had a ‘eureka’ moment – one sunny evening in Manchester walking down the road, I suddenly thought I saw a way forward. So back I went to Alyssa, the other work went on the backburner. And within about a month I had a draft that I thought worked. My university tutor thought that I should submit it so one May half term, I spent all week re-drafting and started to send out subs. I knew it wasn’t perfect but couldn’t see what else I could do on my own and, feeling that I had nothing to lose, I sent Alyssa out into the world. Very, very excitingly, I was asked for three fulls. Anne Clark of the Anne Clark Literary Agency loved it but thought the last third of the novel didn’t fit my opening. Once she said that I saw that she was of course right. It took me until September to work out what to do. I had to go back to the heart of the novel, really focus on what Alyssa wanted. Once I’d pinned down her motivation and discussed it with students at my school, it all fell into place. I cut 16,000 words. It didn’t hurt a bit. Honest. It took me another six weeks to write the new part, ending in a half term holiday which was different from my children so they went to school and I stayed at home on my own for the first time ever. It was a very, very happy week and at the end of it I had draft number 3. I knew this was my best so far. Nervously I sent it off to Anne but she loved it, quite a few edits for my original two thirds of the novel, hardly any for the new writing! 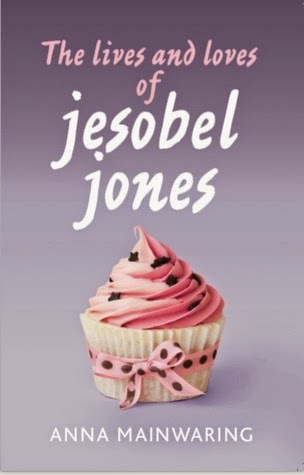 Two and half years after starting Alyssa, I finished what had become ‘The Lives and Loves of Jesobel Jones’. Another ‘woo hoo’ dance round the room moment! So as you can see, there’s not much of a process to it. But in brief what works for me is lots and lots of thinking, writing plenty of back story and working on characters’ motivation, playing out scenes in my head, a fast first draft, followed by lots and lots more thinking and careful editing. And finally, just in case anyone ever asks me about my writing day, well my writing day actually starts about 9.00 in the evening. After a full day’s teaching. I look after my children, do my homework (I’m a teacher! ), put the kids to bed and then I lose myself in my writing for a few hours before falling asleep in front of the computer. It means I don’t read as much as I’d like and I miss out on the latest hit TV shows. But writing has become one of the keenest pleasures in my life. I’m not about to give it up any time soon. So if you always wanted to write but never quite made it, it’s never too late to start!